Styles to look at closely would be Ju-Jitsu (jujutsu), a grappling style designed to defeat armed and armored attackers (samurai) using no weapon or only a short weapon, or Krav Maga, the vicious Israeli street style. Filipino Martial Arts (FMA, including Kali and Escrima) has a fair amount of stick and knife fighting, so might be a good choice. “Competition” styles such as Tae Kwon Do would be less suitable than one designed for the “street”, but any martial arts training is better than none. 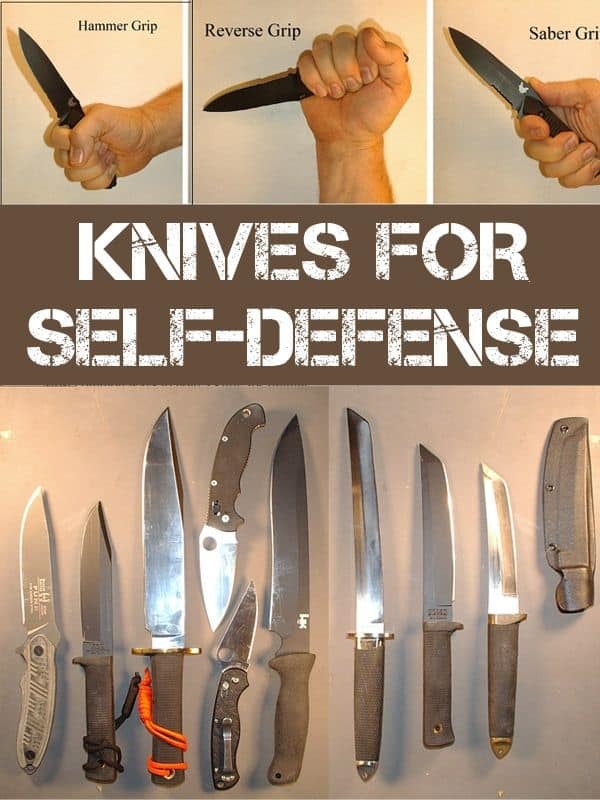 In my case, I had the martial arts experience, and found my knife instructor through a knife shop. Doing a quick search of knife training currently local to me, I found FMA is available, as well as Aikido (related to jujutsu) and a Krav Maga school which specifically includes knives. There are also a couple of security places that advertise knife fight training without mentioning any particular style. The only way to tell what a place like that is teaching would be to go there and check it out. 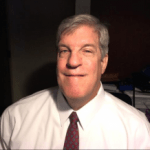 – The fighting style you use will have a particular way of holding the knife (there are four ways I find suitable for various forms of combat, and other ways of holding which some obscure style might be able to make effective). The handle size, shape and material must support the hold(s) you will be using, and allow the hold to be comfortable and secure. This means that it must be unlikely the knife can slip out of your hand. In addition, your hand must not slip forward onto the blade, even if your hand or the knife is wet or oily. You lose points if you cut yourself with your own knife. 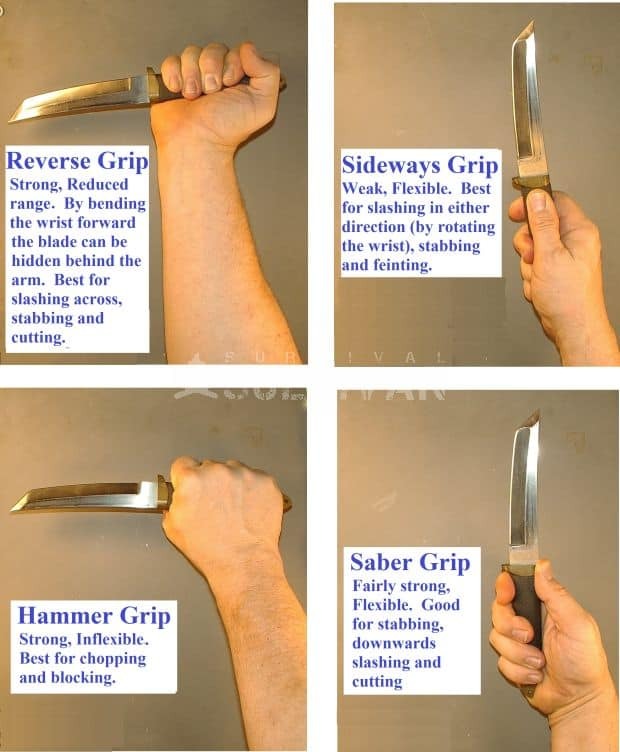 There is a handle style called “subhilt fighter”, which has a second “guard” which helps lock the knife into your hand. The blade style of this model (training version) is “drop point”, which is one of the more versatile blade styles, and is good at stabbing and cutting, and decent at slashing. The “bowie knife” is a classic, for styles that can use the size and weight, which is a particular advantage when chopping. The blade style is “clip point” which increases the sharpness of the tip, but makes it weaker. In this model (training version), the clip is not too extreme. Some bowie knives have a very deep clip, which gives a needle tip with no strength at all. If the clip is sharpened, it enhances the slashing ability, as you can slash both forward and reverse, but it weakens the tip even more. Another classic is the K-Bar Marine Combat knife (training version). It is decent for stabbing and good at slashing and cutting. This blade also has a clip point. My favorite is the Cold Steel “Tanto”, based on the shortest of the three blade set typical of the samurai warriors. It is good at stabbing, slashing and cutting. According to their web site, Cold Steel (who popularized this style when starting their company) does not seem to make it any more, except in the insanely expensive “Master” and “Magnum” versions and the “Lite” model which appears to have a plastic guard and pommel. Here is another version of Tanto (training version), without the effective pointed (and solid) pommel of the original Tanto. Thus, the third secret is to always look for advantages; ways to “cheat”. This could be an impromptu way of protecting yourself from his blade, such as wrapping a leather jacket around your blocking arm. Or a way of blocking or inflicting damage at a greater range, such as a walking stick, collapsing baton, or belt with heavy or sharp buckle. Always keep an eye on your environment, looking for what you can turn to your advantage. Another secret is that after winning a knife fight, often it is not over yet. If the justice system is still in effect, you will need to be able to show that you did not use “unreasonable” force. Be aware that often, in the eyes of law enforcement, “any” force is unreasonable (see this article on legal/moral use of lethal force – make no mistake, any use of a knife is considered lethal force). If a person is standing, they are still a danger. If they are on the ground and still armed, they are still a danger. If they are disarmed yet can still move effectively, they are still a danger and may have another weapon. Only a person who is disarmed and cannot move (or at least cannot move effectively) can be considered no longer a threat. Backing up may be necessary if he advances, but this will eventually get you in trouble. It is better to evade to the side some of the time, but don’t be predictable. Of course, the opposite is also true; the closer you are to him, the harder it will be for him to defend against you. The one doing the closing, with a strategy, has the advantage. If any closing occurs, let it be deliberately by you, with a plan, rather than by your opponent. The next concept, particularly of concern when you are using open hand defenses, is to avoid focusing completely on the knife. The attacker has another hand and two feet and other body parts that can do you damage, and if both your hands or all your attention are occupied with the knife hand, your ability to block any other attack is lessened. The converse is also true. If you have an opening for a kick or strike other than with your knife, take it. Just be confident he can’t get to your leg or arm with his knife. 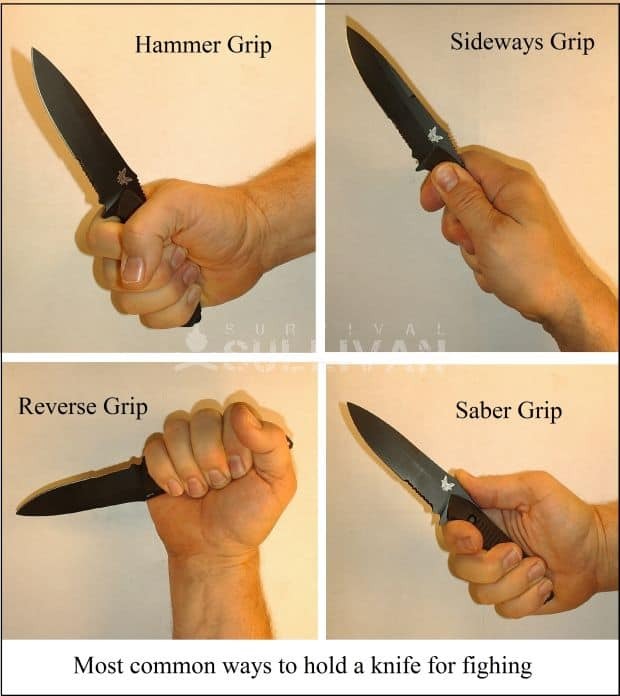 All techniques will involve moving your knife from where it happens to be, to a position and orientation that should have an effect or at least gives that impression (feinting). Whenever practical, try to include a secondary technique as part of your recovery, or using the ending position of your primary technique as the starting position for a secondary technique. For instance, after a slash in one direction, stab or slash in the reverse direction. Don’t focus on single techniques, since your opponent then only has to bother with single counters. Some of these would be difficult to access during a fight. The back of the neck and back of the knee would seem to be unavailable in many cases. You would need to be familiar with rib placement and have a good degree of accuracy to be sure of getting through the rib cage to heart, lungs or liver. That makes throat, shoulder and groin the most practical of these targets. To blind an attacker, you can attack the eyes or slash above the eyes to get them filled with blood. Forget about what you see in knife fights on the screen. They are choreographed to be visually pleasing and to result in the desired conclusion. In the real world, knife fighting is an attempt to avoid death or severe damage. The most effective way to get good at it is to survive several such fights, which is a path with very high odds of failure. A less dangerous path to have a decent chance of surviving a knife fight is lots of the remotely second best method of gaining competence, which is training and practice, practice, practice. When you can win all your practice fights, your odds of winning a real one are increased. What style of knife fighting or martial arts do you think is the most effective? Previous Freeze Dried VS Dehydrated Food: What’s The Difference?